Escape into a world of new sensations with exotic feminine fragrances and textures. 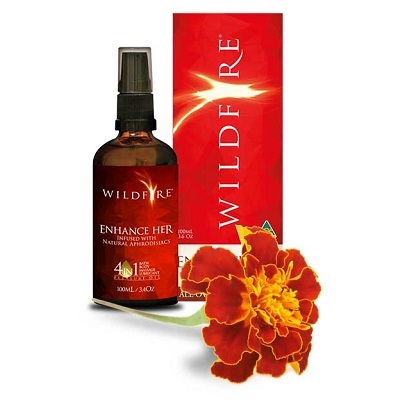 Wildfire Enhance Her has been created to assist couples by increasing libido and fertility. It is perfect for menopausal women and women looking to regain their love life. Wildfire’s extra virgin olive oil base provides nourishment and lubrication to the vaginal lining and helps slow the natural thinning process that occurs during menopause. Calendula has also been included for its natural soothing properties and is ideal for women who are sensitive and easily irritated.